This beautiful Crazy Lace Gate is set in Sterling Silver to become a truly striking necklace! Crazy Lace Agate has also been called the Laughter Stone. 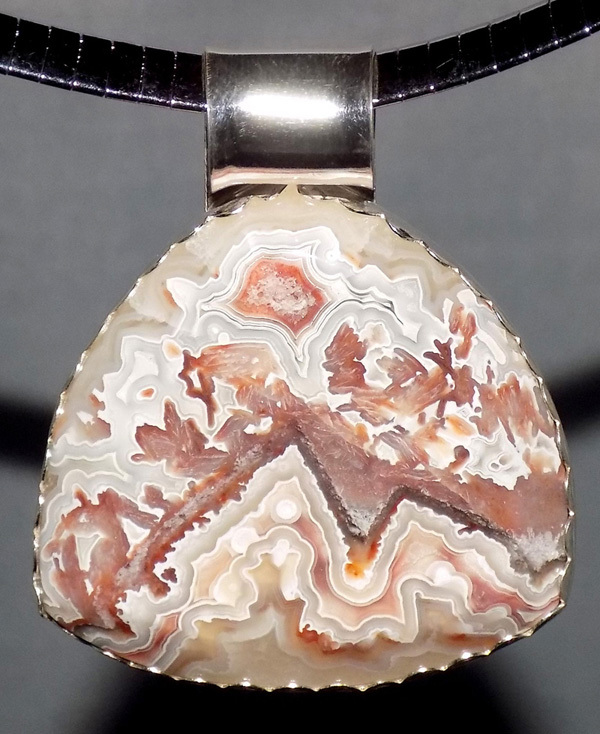 This beautiful stone and Sterling Silver pendant is approximately 2″ tall, including bail, and 1 3/4″ wide. The necklace includes an 18″ Sterling Silver Chain.